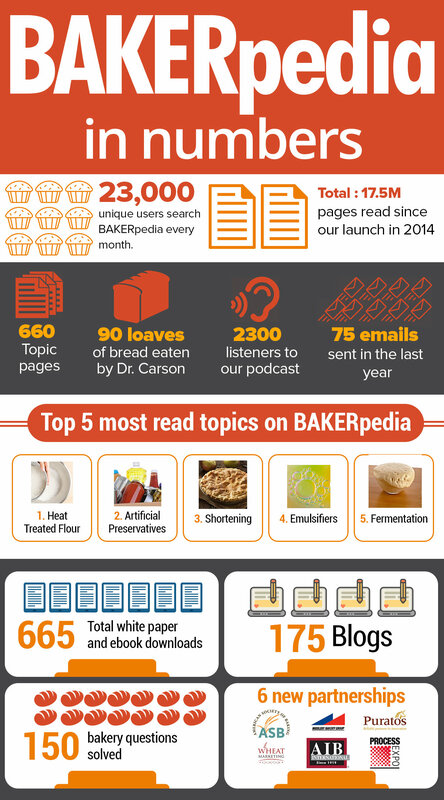 It’s been a phenomenal year for BAKERpedia. Since we started this journey over three years ago, we’ve been doing everything we can to get you the baking answers you’re searching for, and the ones you didn’t know you had yet! As these stats show, we’re off to a good start! We have recently ranked #1 and appear in answer boxes for many baking search terms on Google, ranking above Wikipedia. Why? It’s because you are seeking the answers to these questions, and we have it laid out in a simple and truthful way. As we seek to make shared knowledge a goal, we’re providing simple, credible solutions to complex challenges, so you can focus on the things that matter–business growth in a competitive commercial baking environment. More topic pages, blogs, emails and bakery questions solved! So thank you, for your support and innovative spirit!